Redskins Gab - The Definitive Washington Redskins Blog! 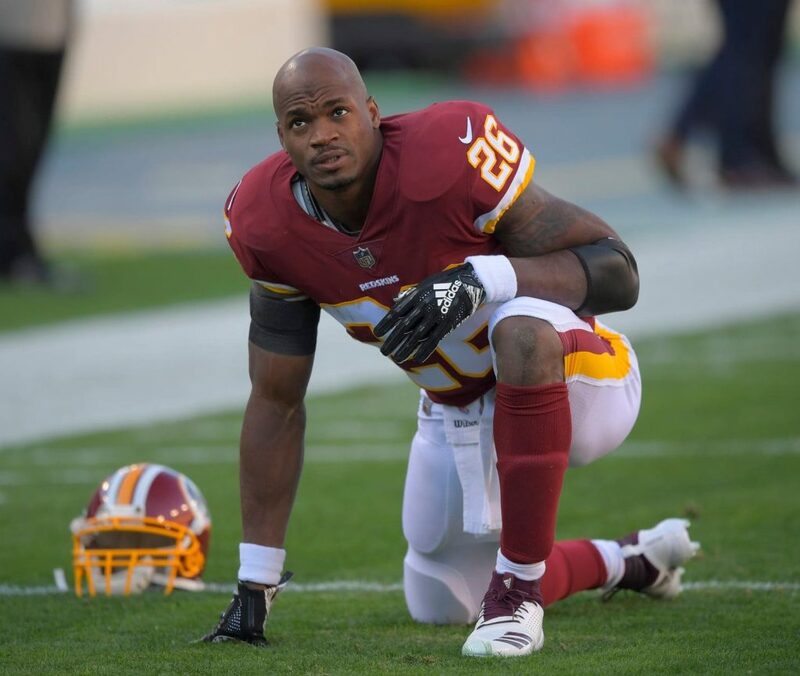 The deal for the Redskins and running back Adrian Peterson is official, as today the team announced they inked the running back to a new two-year deal. Last season Peterson ran for 1042 yards in 16 games, a 4.2 yards per carry average with seven touchdowns. He became the first Redskins running back to rush for 1,000 or more yards in a season since Alfred Morris rushed for 1,074 yards following the 2014 campaign. The 13-year NFL vet entered the league after being selected in the first round (No. 7 overall) of the 2007 NFL Draft by the Minnesota Vikings. He spent 10 seasons with the Vikings from 2007-16. In 2017, he played for the Arizona Cardinals after opening the regular season with the New Orleans Saints. 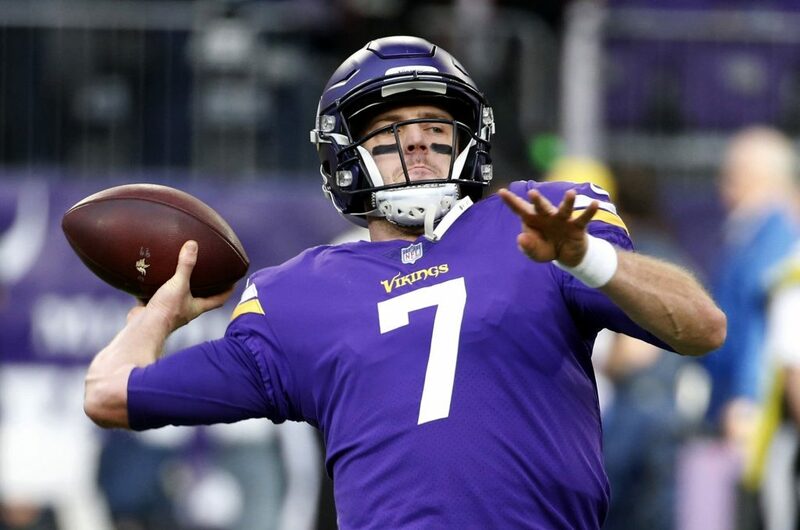 The Redskins will have a new QB on their roster for 2019, as the team is acquiring Broncos QB Case Keenum this according to Adam Schefter of ESPN on Thursday. In exchange, the Broncos will get a sixth-round pick in the 2020 draft from the Redskins. Washington will also get a 2020 seventh-rounder from Denver. The 31-year-old Keenum, who was currently slated to count $21 million against the Broncos’ salary cap for the 2019 season, has reworked his contract and will be on a one-year deal with the Redskins, sources told Schefter. Keenum has a base salary of $18 million this season, but only $7 million was guaranteed in the way of offsets, which the Redskins and Broncos decided to split evenly, sources told Schefter. The Broncos, who would’ve carried $10 million in “dead money” had they cut Keenum, will instead save $3 million by paying only $3.5 million as well as a $500,000 restructuring bonus. The Broncos signed Keenum to a two-year, $36 million deal last March to be their starting quarterback. Denver then went 6-10 in 2018, which led to the dismissal of head coach Vance Joseph and the hiring of Vic Fangio to replace him. Since the end of the season, the Broncos have put in place the framework of a trade to acquire veteran Joe Flacco from the Baltimore Ravens, which “definitely shocked” and “disappointed” Keenum when he heard the news. The Redskins have “openly spoken” about trading for Cardinals quarterback Josh Rosen according to Tony Pauline of draftanalyst.com. Coach Kliff Kingsbury and GM Steve Keim have tried to hush rumors about taking a quarterback with the No. 1 overall pick (and thus shopping Rosen), but both have admittedly done a poor job doing so. If so, positioning last year’s No. 10 overall pick ahead of veteran Colt McCoy would make a ton of sense for Washington and could possibly land the Redskins a true quarterback of the future. NFL Network analyst Daniel Jeremiah noted it’s currently “50-50” among the people he’s spoken to on whether the Cards pull the trigger on Kyler Murray with the first pick in April. The Redskins may not have Alex Smith back for much if not all of the 2019 season but they will have Colt McCoy and are trying to re-sign journeyman quarterback Josh Johnson according to JP Finlay of NBC Sports Washington. McCoy is still under contract for 2019 at the reasonable salary of $3.5 million but Johnson is the more interesting of the two. 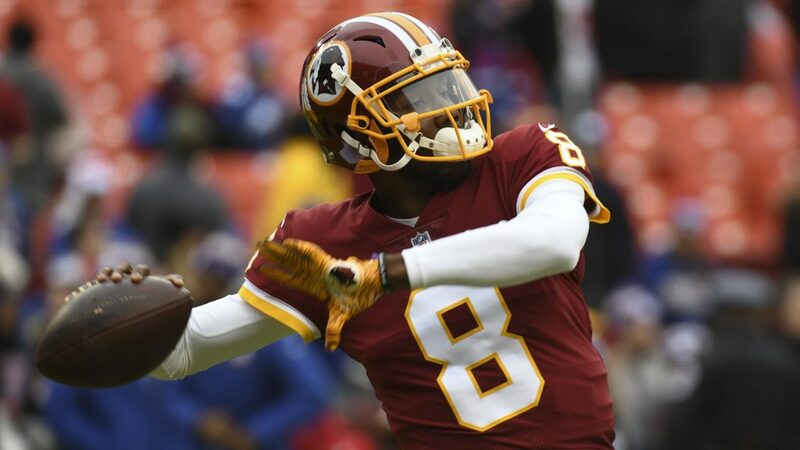 Signed off the street in early December, Johnson was thrown into action for the Redskins in Week 14 with less than a week’s worth of practice after Mark Sanchez completely face-planted. The 32-year-old went 1-2 as a starter and completed 57.1 percent of his passes for 590 yards with three touchdowns and four interceptions last season. Before anyone gets too excited about Johnson, it should be noted that he has appeared in only 33 games with eight starts since entering the NFL in 2009 and had not started a game since 2013. And he struggled mightily for the Redskins the final two games. Johnson originally was slated to play in the Alliance of American Football this season after the San Diego Fleet made him the first pick. But the AAF released Johnson from his contract to return to the NFL. While it sounds like he will find an NFL home in 2019 and will likely be paid better than the AAF, it seems doubtful he will see another regular season start in the NFL anytime soon. Rob Ryan has returned to the NFL as the inside linebackers coach for the Redskins according to the team’s official website. 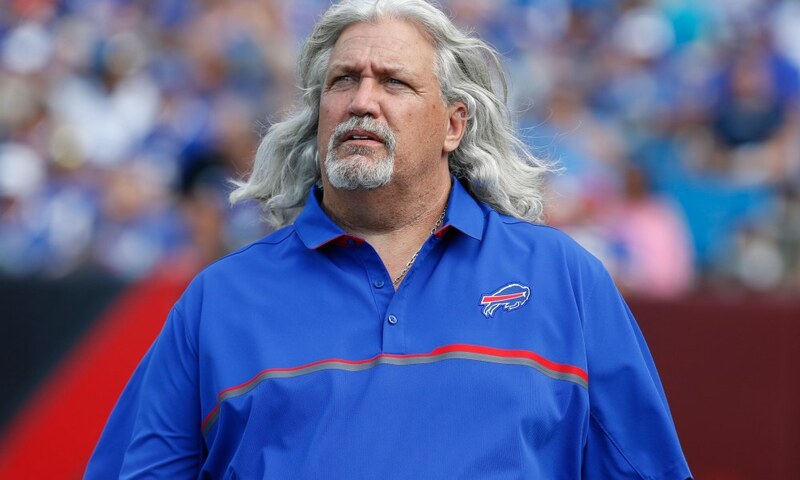 The 56-year-old less famous Ryan last coached in the NFL as assistant head coach/defense on his brother Rex’s staff with the Buffalo Bills. Prior to that, Ryan was the Saints’ defensive coordinator from 2013-2015, which was mostly a failure. Ryan has the “name”, but he has long overseen some weak defenses. He will work closely with Reuben Foster and Zach Brown and may have some say in the defensive plan. Former Bengals offensive coordinator Bill Lazor interviewed for the Washington Redskins quarterbacks coaching vacancy according to Albert Breer of MMQB.com. 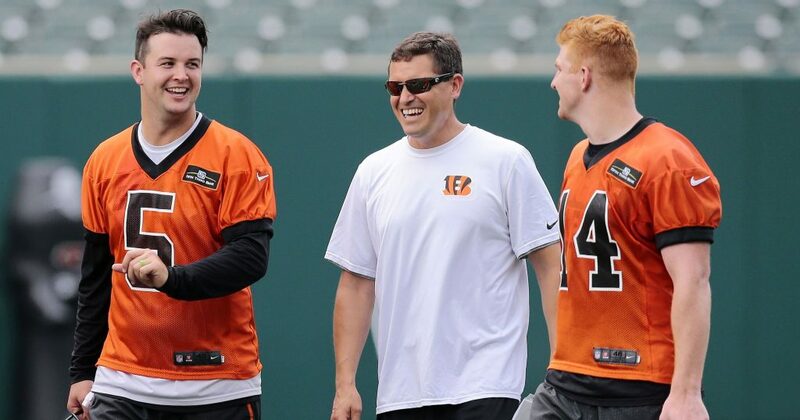 The 46-year-old Lazor was the Bengals QBs coach starting in 2016 before taking over the offensive coordinator duties in September 2017 after the Bengals fired Ken Zampese. He lost his job in Cincy along with most of the rest of the coaching staff when long-time head coach Marvin Lewis was fired. Washington is determined to bring in some fresh voices on both sides of the ball. In-house QBs coach Kevin O’Connell was promoted to OC on Tuesday, so Lazor would be a candidate to take O’Connell’s old gig while being a backbone for O’Connell. Lazor worked for the Skins from 2004-2007. The Redskins have a new defensive backs coach who has a solid NFL resume, that being former Cleveland Browns, Arizona Cardinals and Tennessee Titans defensive coordinator Ray Horton. ESPN Redskins reporter John Keim first tweeted the news Thursday afternoon. The Redskins have hired Ray Horton as their defensive backs coach, per source. Horton last coached in 2016 as the defensive coordinator with the Cleveland Browns. He also served as a defensive coordinator with Tennessee and Arizona. 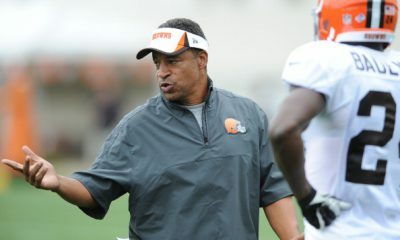 Horton last coached with the Browns in 2016, but has plenty of experience as just a defensive backs coach, as he started his career with the Redskins 1994 as a defensive assistant. He was the Skins assistant defensive backs coach from 1995-1996. He moved on to coach defensive backs/secondary for the Cincinnati Bengals(97-01), Detroit Lions(02-03), and Pittsburgh Steelers (04-10). 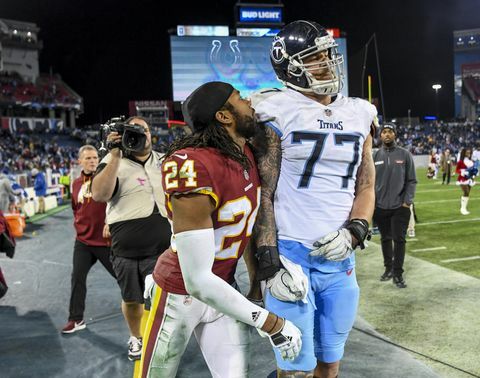 It was an ugly scene at the end of the Redskins loss Saturday to the Titans, as cornerback Josh Norman and Titans left tackle Taylor Lewan went at it after the game with a lot of shouting and a little shoving. Norman told ESPN that the Titans tackle should have been more worried about protecting quarterback Marcus Mariota than about taunting Norman. Norman, who did not address the media following Saturday’s incident in Nashville, called Lewan’s actions the “maximum disrespect.” Lewan said after the tilt that he had singled out Norman because he felt he had been trying to hurt running back Derrick Henry during the game. When Lewan sought out Norman, the cornerback was sitting on the Redskins bench. Lewan yelled “Get the f— out of my stadium!” and, as Norman threw his helmet and ran at him, Lewan shot an imaginary bow and arrow — something Norman once did to celebrate big plays. Norman swiped Lewan’s arms away, then shouted at Lewan before being pulled away. “For a relevant player, it’s kind of crazy — if you are that relevant. Why would you come to another man’s sideline?” Norman said. “And then after you won a game, you pick fun at the player that is relevant. You go out your way to come to his bench, his sideline, to go at him in that kind of way. Sign up to receive our daily Redskins Gab newsletter, and keep up to date with all the latest Washington Redskins news. Celebrity Seats has all the best Washington Redskins Tickets, Washington Nationals Tickets, Washington Wizards Tickets, and Washington Capitals Tickets!